PRESENT AT THE LARGEST EDUCATION CONFERENCE AND EXPOSITION IN THE NORTHWEST! 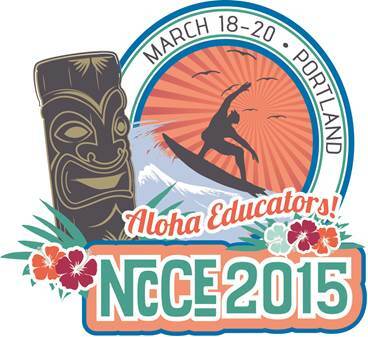 NCCE is seeking proposals from educators, consultants, and corporate partners for the 44th Annual Conference and Exposition in Portland, OR at the Oregon Convention Center, March 18-20, 2015. Through the annual conference, NCCE delivers innovative programming to Northwest educational leaders. NCCE 2015 is expecting 1800 attendees and over 130 exhibiting companies. You’re invited to share with our conference audience your knowledge and expertise on a variety of topics covering a wide range of academic disciplines in K-12 education. Information about new ideas and innovations, such as online and blended learning, gaming, DIY and maker activities, OER, MOOCs, Big Data, BYOD, and mobile device management. A showcase of issues that are important to superintendents, principals, IT and curriculum directors, and other school leaders, such as Common Core State Standards, new assessments, legal and policy issues, equity, connected leadership, new models for professional learning, and moving beyond textbooks. Presentations from field practitioners about what’s working in their classrooms, including STEM, ELA and the humanities, ESL, SPED, and more. The primary focus for these sessions should be on instructional methods and student learning, not just on technology. Planning, management and resources related to infrastructure, mobile learning, cloud-based computing, security, and policies that support effective teaching and learning. Demonstrations of great hardware and software solutions, including iPad apps, Web 2.0 tools, and more. NCCE 2015 offers a variety of speaker sessions each day of the conference. Hands-on presentation offered by an individual or a team of presenters. Participants will actively work with the tool or process being explored. Lecture-style presentations that address all areas of the curriculum and appeal to a variety of teachers. Sessions may be given by a single speaker, team or panel who can address the needs of the novice user of educational technology as well as the more experienced professional. Sessions offered by exhibiting companies to present products and services available on the show floor in an in-depth, informative, and non-sales atmosphere. 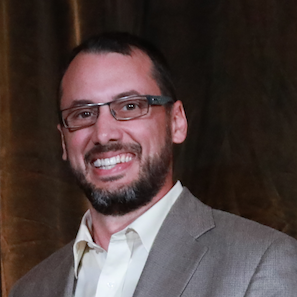 WHY PRESENT AT NCCE 2015? *Deadline to submit is Friday, September 12th at MIDNIGHT PST. Proposals will be reviewed by NCCE’s conference committee and selected based on their alignment with conference strands, recent trends, and best practices. Notification of acceptance will be sent out in the fall. Deadline to submit for NCCE 2015 is tomorrow, September 12, 2014! Early bird Registration ends Friday for NCCE 2016!